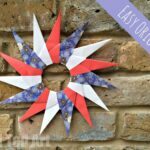 Making Paper Bag Stars only take MINUTES!! 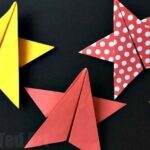 You can take any sort of paper bag (so ong as it has a “bottom flat bit”, in any colour and design and make these paper bag stars in less than five minutes! 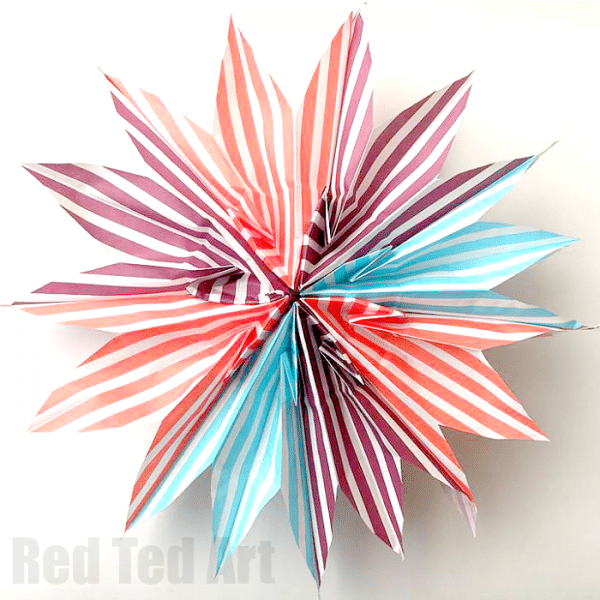 Some people refer to these as Paper Bag Stars, others as Paper Bag Snowflakes and if you do plain colours and add a central discs, they make great Paper Bag flowers too! 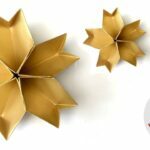 That makes these stars great party decor – be it a wedding party (imagine whites and pastels), a school prom party or a Christmas fair at school. 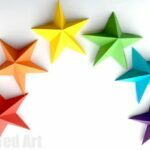 Whenever you have a party planned and need some BIG decorations, these Paper Bag Stars are simply perfect. Paper Bags (like sweetie bags) are inexpensive too. 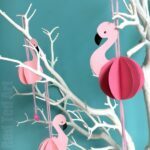 So this is a great thrifty craft. 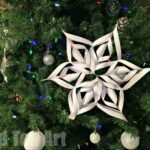 I first saw this on the Art Teacher Life Facebook Page and also saw Messy is my Method’s video from a few years ago and though you guys would really appreciate seeing this craft too! The best bit? 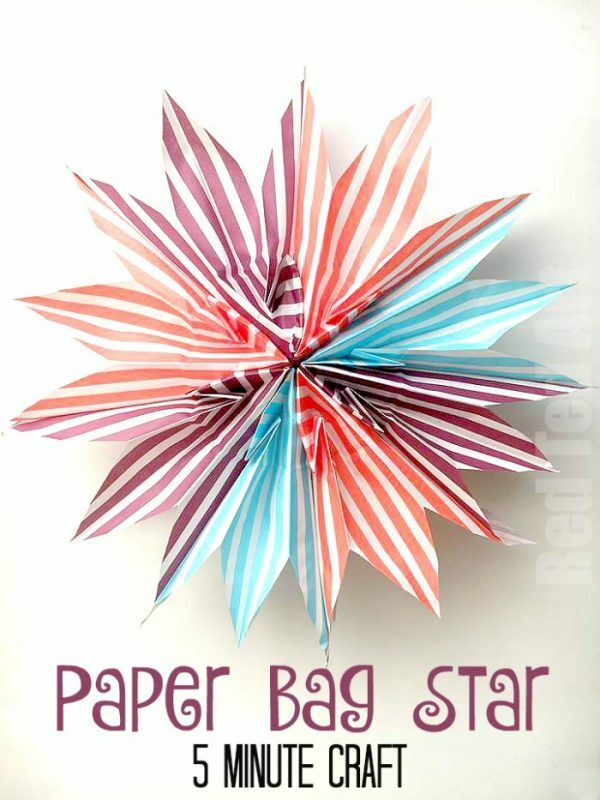 This Paper Bag Stars are so easy that both kids and grown ups can make them! 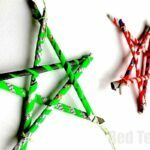 Watch the video to see how very quick and easy these Paper Bag Stars are to make or read the step by step instructions below! 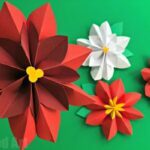 Stack your paper bags all in the same way (ie the “folded bottom” facing the same way) and in the colour order that you wish. Place the next paper bag neatly and aligned on top. Repeat until all 9 bags are stuck together in one stash. 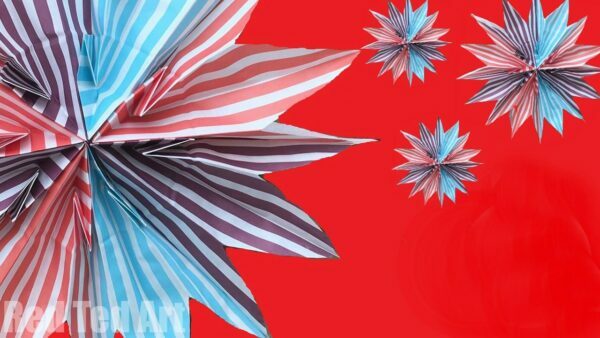 Cut a point out the top (open end) of your paper bags. 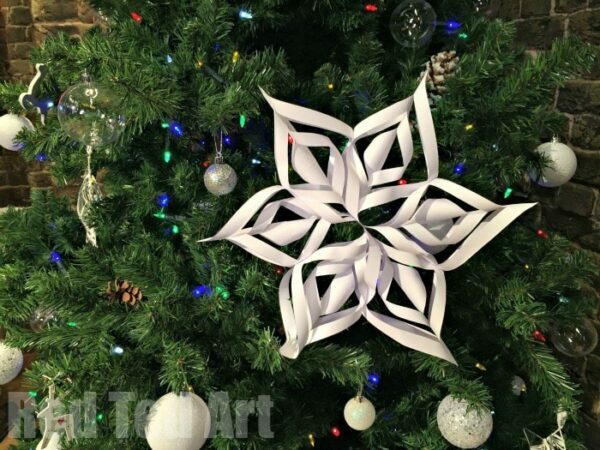 Carefully open up your star and connect the first with the last bag with some glue! 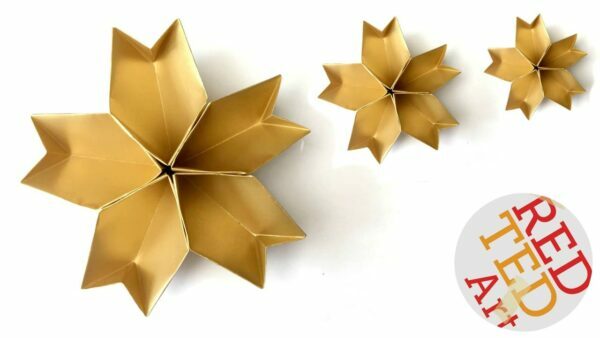 Yes that is really how easy it is to make these Paper Bag Stars!